The 2018 American Wine Society Annual Meetings took place in Buffalo, New York State, from November 1 to 3, 2018. More than 500 members from all over the USA came to this 3-day event, filled with tastings, seminars and presentations. 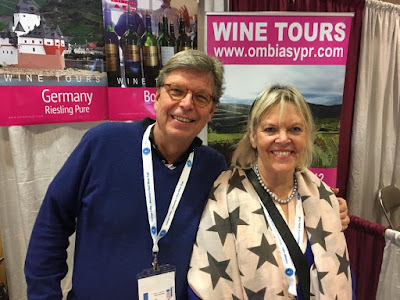 Annette Schiller, President of ombiasy PR and WineTours and member of the American Wine Society, led 3 wine tastings - Abbey Wines, Pinot Noir from Germany and Burgundy, Rhône Valley - at the 2018 Annual Meetings of the American Wine Society. 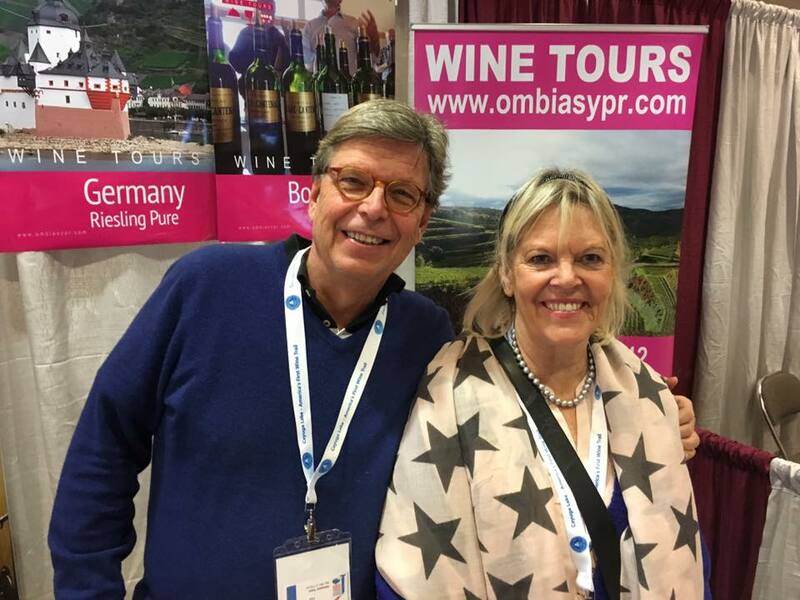 In addition, Annette and Christian Schiller poured a selection of German premium wines - all from members of the VDP (Verband Deutscher Prädikatsweingüter), the about 200 elite wine producers in Germany - at the Showcase of Wines event during the second evening. This posting covers the Pinot Noir from Germany and Burgundy tastng seminar. This is the fourth in a series of postings related to the American Wine Society National Conference 2018 in Buffalo, New York State. Annette Schiller: Germany is in the midst of a red wine revolution. Thirty years ago, red wine production amount to 10 percent of the wine produced, now it is almost 40 percent. Germany is now the third-largest producer world-wide of Pinot Noir. Burgundy and the German Pinot wine regions can look back on a long common history and both share a very similar soil profile. The Pinot Noir grape produces terroir-driven wines, and we will explore the similarities and differences of Pinot Noir from Burgundy and Germany. Germany is so closely identified with Riesling that you may be surprised to learn that the country is the third-largest producer of Pinot Noir in the world, behind France and the United States, according to the Wines of Germany trade organization. Germans call the grape Spätburgunder, which means late-ripening (spät) Pinot (Burgunder). Nearly all of the 13 German winemaking regions grow Pinot Noir, most notably Ahr (where Spätburgunder accounts for more than 50 percent of plantings), along with Baden, Franken and Württemberg. I first tasted Germany’s Spätburgunders while working in retail a decade ago. At that time, there were few great examples, with some struggling for balance. But times have changed, for the better. In my recent blind tastings in Wine Spectator’s New York office, the best of the new releases of Spätburgunder are perfectly ripe, with lively acidity as the hallmark feature. They show individuality and a sense of place. The use of new oak barrels has been dialed back, adding structure without masking the terroir, distinctive fragrance, lovely fruit and vibrant acidity. Here are a few of Annette's slides. Annette poured 6 wines from Burgundy and Germany.